Whether you’re directly involved in road, bridge and infrastructure improvements — or indirectly related to the industry — a CIRI membership has many benefits. 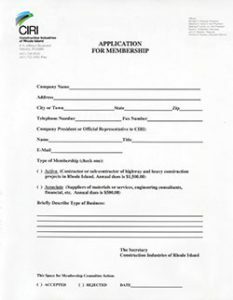 Use the link provided to a PDF application. Then mail or email us the completed form. We also welcome you to contact us with any general inquiries you may have.